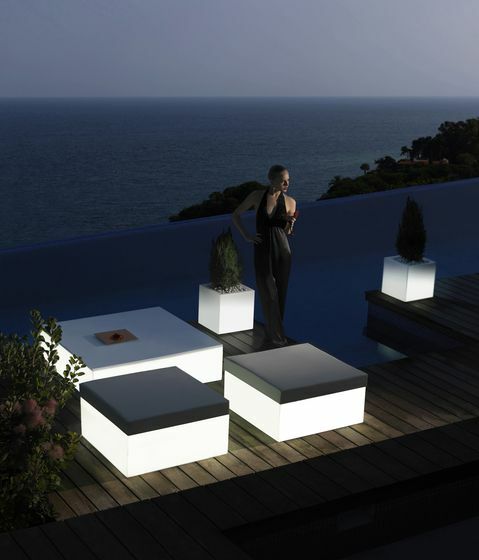 The elegance and simplicity define the new collection designed by Studio VONDOM called QUADRAT. A beautiful and effective element of indoor & outdoor decoration, that recognizes the importance that the company VONDOM is achieved in this sector. A collection with straight and pure lines with the possibility of integrated lighting and nautical padded cushions in wide range of colors, to which will give own personality on any space thanks to its modularity and essence.